Pressure Transmitters and Switch are Stainless Steel Body Transmitters available with a host of process connections, threaded end or front flush diaphragm type with Current 4-20mA Output or Voltage Outputs 0-5 VDC, 0-10 VDC , etc. Various pressure ranges from -1 to 0, 0 to 1, 2, 4, 6, 10, 20, 25, 40, 60, 100 upto 700 Bar are available with accuracy of /0.5 or /-0.25% F.S. 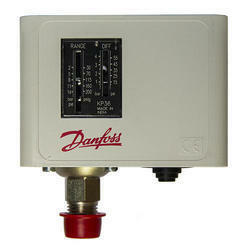 ·Danfoss make RT5 Pressure Switches are used in general industrial and marine sectors. ·Danfoss RT single pressure switches series consist of a variety of ordinary controls including neutral zone pressure switches, safety pressure switches for steam boiler plant, and gold plated fail-safe controls for applications in which safety or economical consequences are critical factors. ·Danfoss RT switches have been in service for more than 60 years. 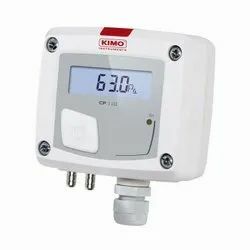 Kimo CP 113 Series Differential Pressure Transmitter sold by Ace Instruments. Also available CP 111 and CP 112 models. This product is regularly exported to USA, Poland, UAE, Oman, Qatar, Saudi Arabia, Nigeria, Kenya, Egypt, Australia, UK, France, Italy, Bangladesh, Thailand, Malaysia, Singapore, Romania, Belgium, Russia, Brazil, Germany, etc. 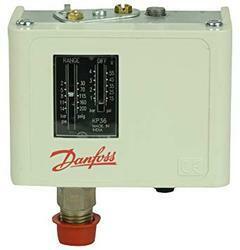 Danfoss KP 35 Pressure switches are used for regulating, monitoring and alarm systems in industry. KP pressure switches are recommended for gaseous media (also water, but only when mounted directly on the pipe - do not use capillary tube mounting. Danfoss KP 35 Pressure switches are fitted with a singlepole switch changeover (SPDT). The position of the pressure switch depends on the setting of the pressure control and the pressure in the connector. • Electrical connection from front of unit. 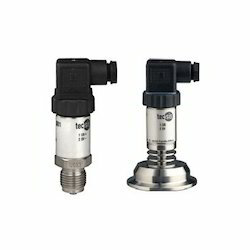 Danfoss KP36 Pressure switches are used for regulating, monitoring and alarm systems in industry. KP36 Pressure switches are recommended for gaseous media (also water, but only when mounted directly on the pipe - do not use capillary tube mounting). 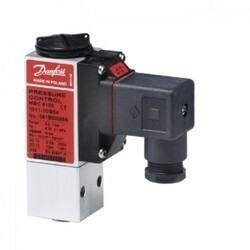 Danfoss KP36 Pressure switches are fitted with a singlepole switch changeover (SPDT). The position of the pressure switch depends on the setting of the pressure control and the pressure in the connector. • Screwed cable entry makes rewiring easy. 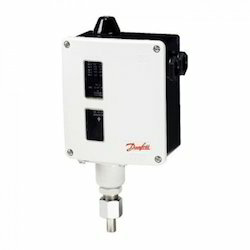 Danfoss MBS 3000, is designed for use in almost all industrial applications, and offers a reliable pressure measurement, even under harsh environmental conditions.The flexible Pressure transmitter MBS 3000 programme covers different output signals, absolute or gauge (relative) versions, measuring ranges from 0 – 1 to 0 – 600 bar. A wide range of pressure and electrical connections are available. Excellent vibration stability, robust construction, and a high degree of EMC/EMI protection equip the Pressure transmitter to meet the most stringent industrial requirements. Danfoss Pressure Transmitter MBS5100 use in almost all marine applications. 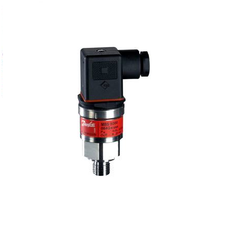 Danfoss Pressure Transmitter MBS5100 programme covers a 4 – 20 mA output signal, absolute or gauge (relative) versions, measuring ranges from 0 – 1 to 0 – 600 bar with zero and span adjustment. Excellent vibration stability, robust construction, and a high degree of EMC / EMI protection equip the pressure transmitter to meet the most stringent industrial requirements. Danfoss RT116 Pressure switches incorporate a pressure controlled, single-pole change over swich where the contact position depends on the pressure in the connection port and the set value. Danfoss RT series consists of pressure switches, differential pressure switches and pressure switches for neutral zone regulation, all for general use within the industrial and marine segments. The series also covers safety pressure switches dedicated for steam boiler plants. For installations in which operation is particularly critical from safety and economic points of view, the use of fail-safe pressure switches is recommended. The use of gold-plated contacts is also recommended in such installations, provided operation involves only a few switching cycles or signal currents and voltages. 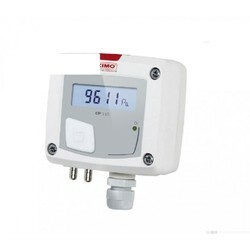 Kimo CP 111 Series Differential Pressure Transmitter sold by Ace Instruments. Also available CP 112 and CP 113 models. Wika Pressure Transmitters Model A-10 pressure transmitter is precision engineered and manufactured to fit many industrial and OEM pressure measurement applications. The rugged design provides resistance to vibration, shock, wide temperature variations, RFI and other extreme environmental conditions that are typical of industrial and OEM applications. Applications : Machine building, Ship building, Measurement and Control Technology, Hydraulics and Pneumatics, Pumps and Compressors etc. The compact pressure transmitter, type MBS 3000, is designed for use in almost all industrial applications, and offers a reliable pressure measurement, even under harsh environmental conditions. The flexible pressure transmitter programmer covers different output signals, absolute and gauge (relative) versions, measuring ranges from 0 – 1 to 0 – 600 bar and a wide range of pressure and electrical connections. A wide range of pressure and electrical connections . Ace Instruments make Flameproof Pressure Transmitters have been designed specifically for the high demands of industrial oil and gas applications. Flameproof/Weather proof Housing in Aluminium LM-6 with Powder coating certified by CIMFR, Dhanbad with ¾” double compression gland cable entry. Bottom Pressure Connection in SS 316. WIKA Electronic Pressure Switch has robust LED display that has been designed using 9 mm high characters (the largest possible) and with a slight incline in order to make, reading the pressure as easy as possible from a long way off. 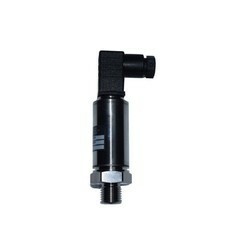 WIKA Electronic Pressure Switch is the best electronic pressure switch. It has 2 switching outputs an analog output for better control monitoring. · Easily readable, robust display. · Intuitive and fast setup. · Easy and flexible mounting configurations. Rosemount Pressure Transmitters are the industry standard for gauge and absolute pressure measurement. 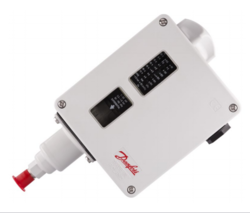 The Pressure Transmitters compact design allows the transmitter to be connected directly to a process for quick, easy and cost effective installation. RosemountPressure Transmitter combines proven sensor and electronics technologies with a single isolator design for absolute and gauge pressure measurements from 0.3 to 10,000 psi. 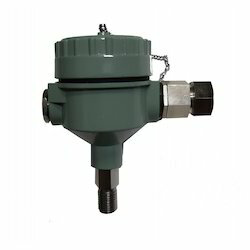 RosemountPressure Transmitter provides a superior alternative for measuring absolute or gauge pressure with the rugged, reliable performance that is characteristic of Rosemount pressure transmitters. 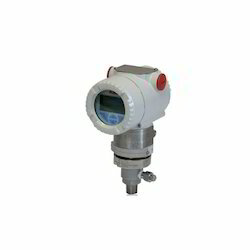 Pressure Transmitter, manufactured by Measurement Specialities Inc., USA. Will be provided at no extra cost. Valid for 1 year. 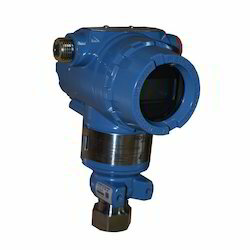 We offer wide range of Compound Range Pressure Transmitters. ABB Make Gauge Pressure Transmitter is with direct mount seal for liquid,gas or steam pressure as well as liquid level in open tanks. ABB Make Gauge Pressure Transmitter is with direct mount seal for liquid,gas or steam pressure as well as liquid level in open tanks. A single transmitter provides the same level of protection as two parallel, connected, conventional transmitters, while retaining performance and accuracy and lowering your instrumentation costs. Self monitoring, self calibrating and self maintaining, the transmitter can be integrated into any safety or automation system. 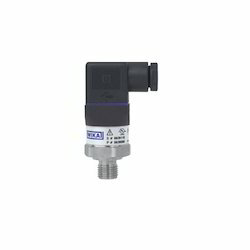 Pressure Transmitter from WIKA model S-20, for general industrial applications is the ideal solution for customers with demanding measuring requirements. 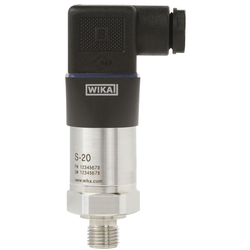 Pressure Transmitter from WIKA model S-20, continuous measuring ranges between 0 ... 0.4 and 0 ... 1,600 bar in all the major units. These measuring ranges can be combined in almost any way with all the standard industry output signals, the most common international process connections and a wide number of electrical connections. Furthermore, it offers numerous options, such as different accuracy classes, extended temperature ranges and customer-specific pin assignments. 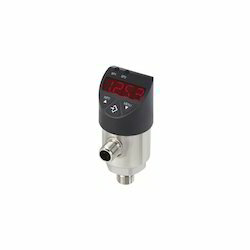 Pressure Transmitter features a very good accuracy, a robust design and an exceptional number of variants, meaning it can be suited to the widest range of applications. Looking for Pressure Transmitters and Switch ?